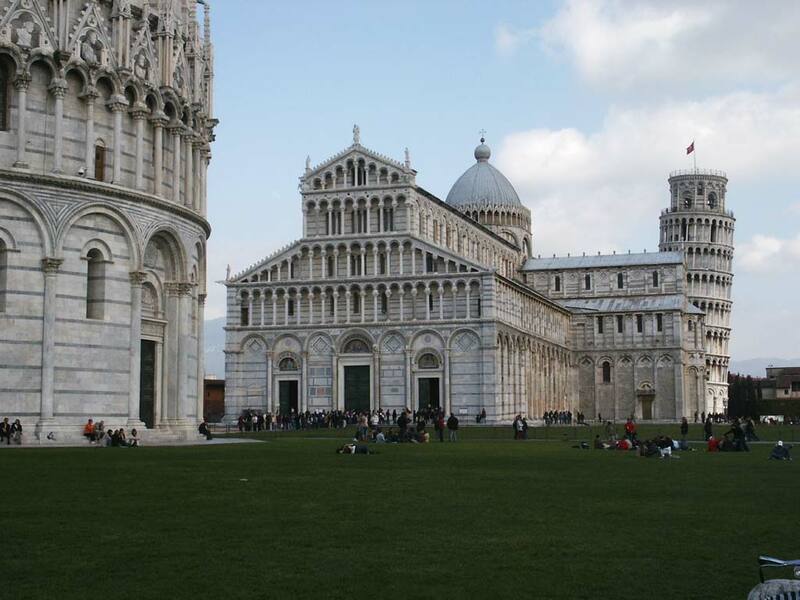 The leaning tower is only part of a complex called the Piazza dei Miracoli. 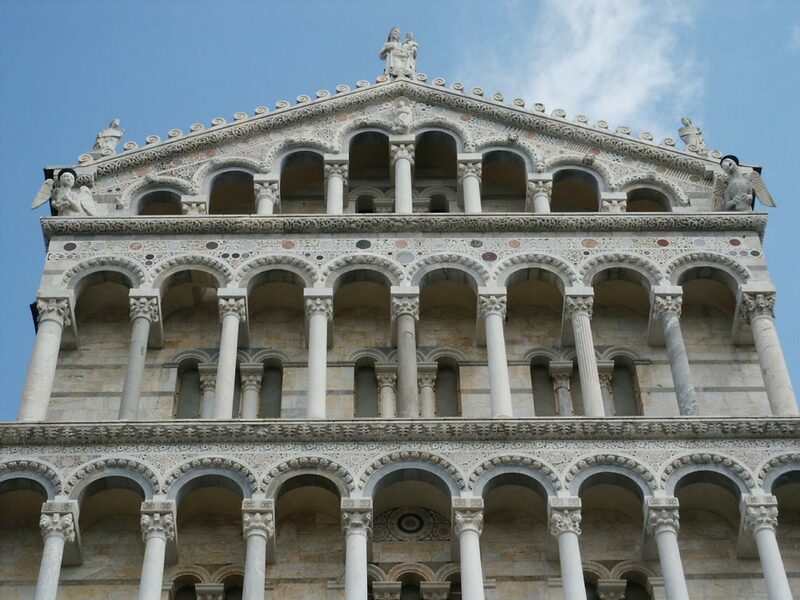 The complex also includes a 3 other buildings including a Baptistery and a Cathedral. 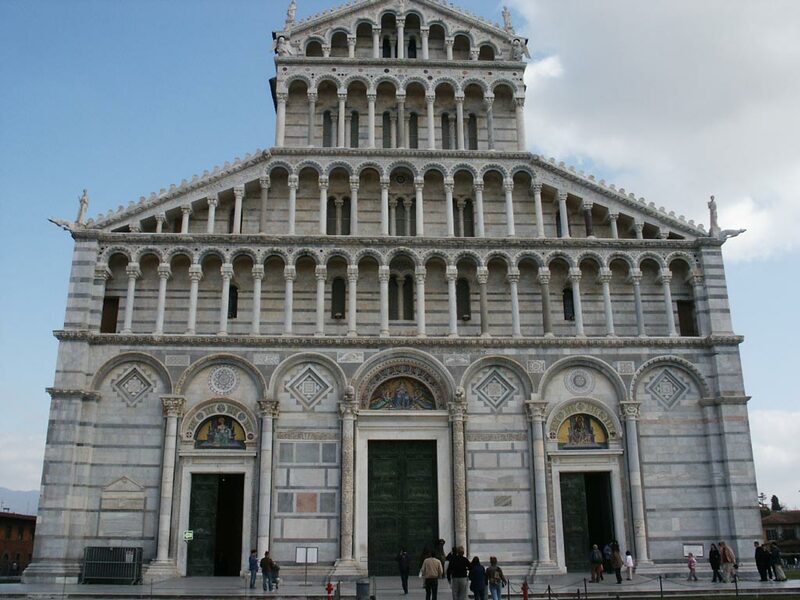 The cathderal was begun in 1063 with the Baptistery ( 1152 ) and tower ( 1173 ) to follow. 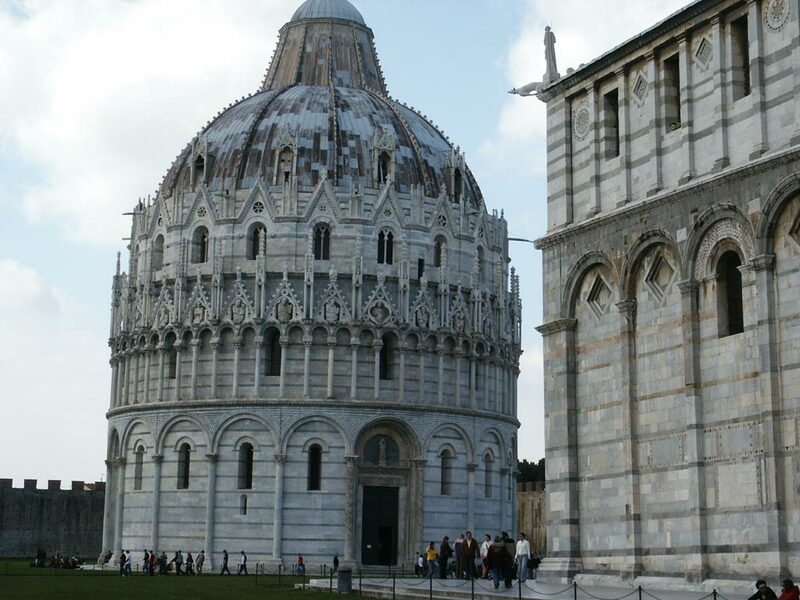 This picture is shows the side of the Baptistery with the Cathedral and leaning tower in the background. A view of the Baptistery. The front of the Cathedral. A close up of the top front of the cathedral. 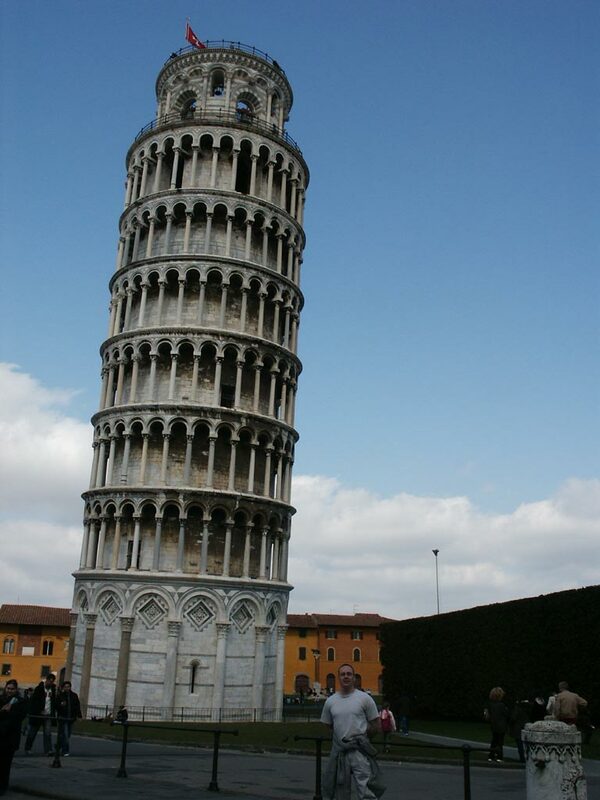 John in front of the Leaning Tower of Pisa. 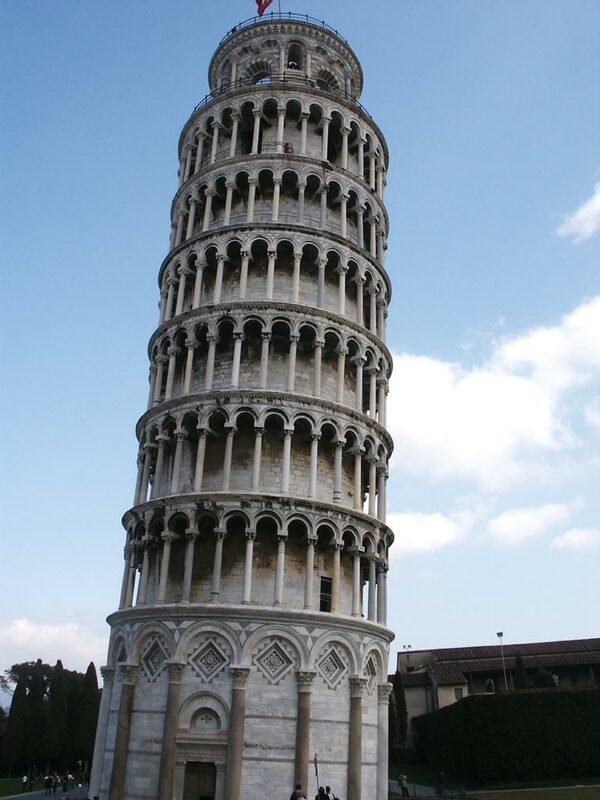 Another view of the Leaning Tower. 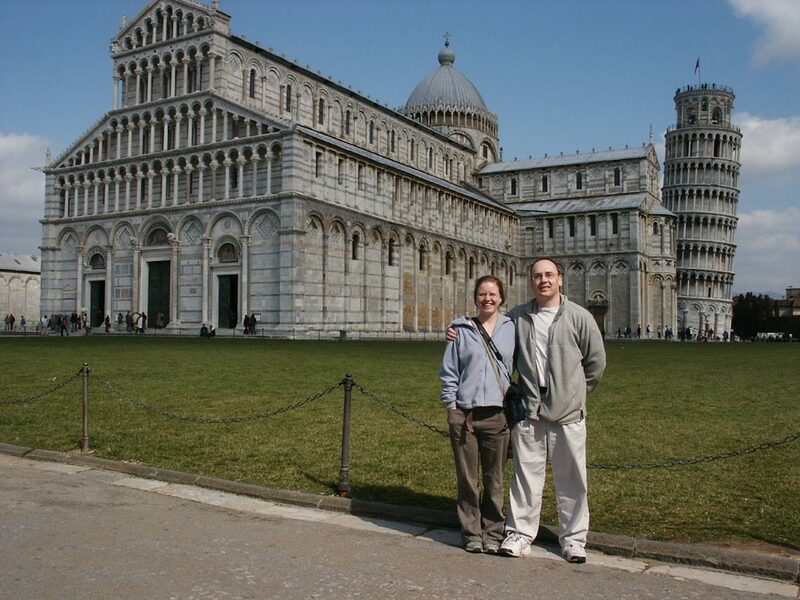 Sonya and John with the Cathedral and Leaning Tower in the background.